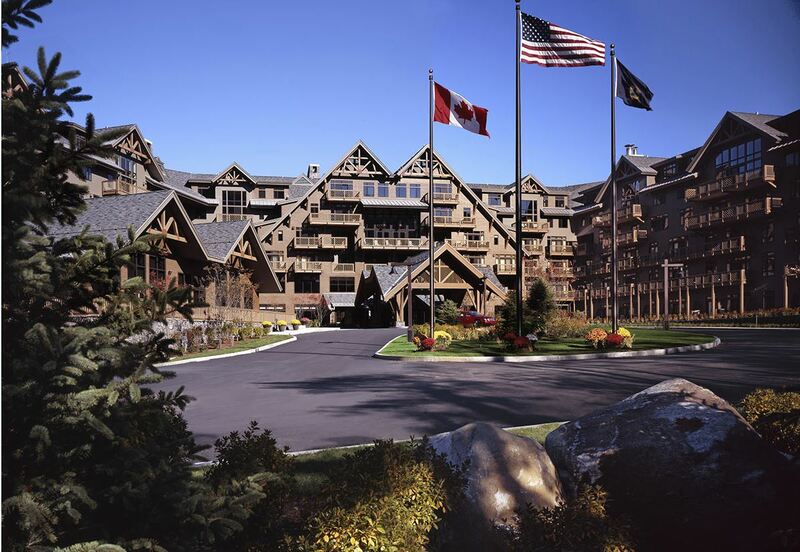 Stowe Mountain Lodge is one of the top luxury properties in the Northeast. This Luxurious, Spacious Resort offers rustic elegance throughout -- from the impressive lobby with floor-to-ceiling windows to the bright, contemporary rooms. This property has a lot in the way of amenities, particularly for the area: an inviting spa, big outdoor pool with mountain views, acclaimed restaurant, state-of-the-art fitness center, and an 18-hole golf course. All withing the comfort of, either a family drive, or a short flight.